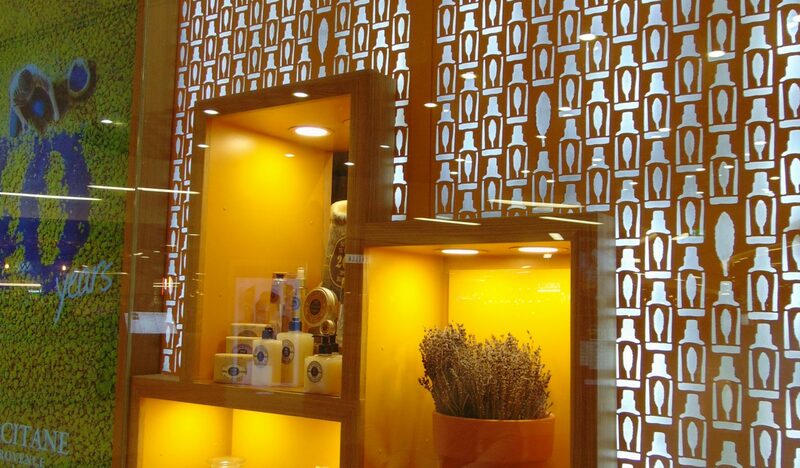 This project saw another L’Occitane boutique created from just a shell. This time we had the constraints of working within what was then Europe’s biggest construction site, situated above one of England’s busiest train stations. As a result, there were strict procedures set by the main developer and the health and safety executive that had to be adhered to due to its close proximity to the public and Network Rail. Working within these restraints, we planned and executed this project within a five-week programme on site. Logistical challenges included the fact that every delivery to site had to be booked in and itemised five days prior to arriving on site, leaving no room for error during the short programme length. Once the unit was handed over from the centre’s developer, we carried out a full internal fit-out including walls, floors, ceilings and a new M&E system. 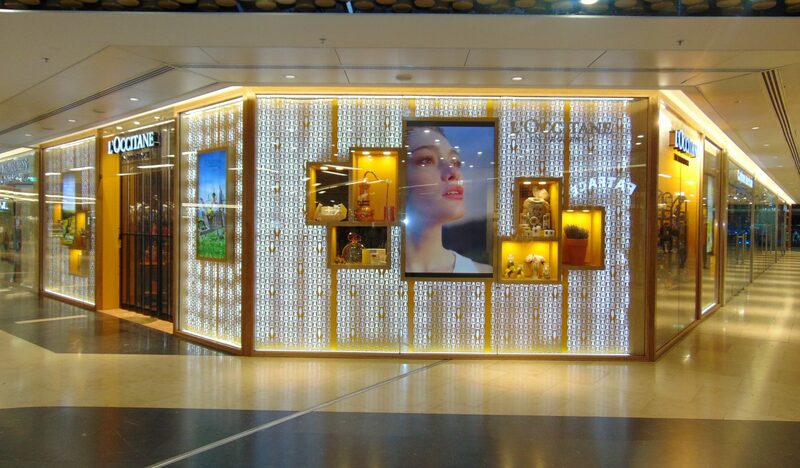 The shop front was composed of bespoke hardwood frames into which fire-rated glass was fitted for an impressive exterior.